Welcome to our free firm library. This library is packed with useful information from the many papers Lee Wallace has presented at CLE (“continuing legal education”) seminars. You can download these articles for free.  Lee Wallace is a personal injury, car accident and whistleblower attorney in Atlanta, Georgia. She has authored numerous articles on legal issues related to cases involving personal injury, product liability,whistleblower, qui tam and False Claims Act claims, bacterial contamination, and women lawyers. The articles cover legal issues such as Daubert, expert witness testimony, product liability, design defects, intervening causes, ethics for lawyers, other similar incidents, evidence and evidentiary rules, mentoring, women lawyers, marketing for women lawyers, and changes in the legal profession. We do ask that you honor the copyright, and not disseminate these papers or any parts of them. whistleblower? Find out about the False Claims Act and other whistleblower statutes. When you have a product liability suit, usually an expert has to explain to the jury how the product is defective. Learn more about how manufacturers try to keep the testimony out of evidence – and how you can keep it in. One of Lee’s most popular articles with lawyers, this article explains how you can look at a car accident case and tell whether you should be looking at more than the insurance issues. Many lawyers handle cases in other areas and are unfamiliar with product liability cases. This article gives an informative overview of how you can figure out whether you have a product liability case in your case files. Each year bacteria sicken millions of Americans. This article gives an overview of bacterial contamination lawsuits. What should you do when one party has destroyed important evidence? Over the last 100 years, the legal community has drastically changed its view of the role of lawyers. Find out how. Georgia product liability cases have been dramatically affected by a case called Banks. Find out how. Defendants often argue that something other than the product really caused the plaintiff’s injuries. Find out about the law of intervening causes. Has the product that hurt you hurt other people as well? Read more about the law governing getting the other incidents into evidence. Want to be a leader? Read more about how you can make it happen. Why can’t women get good mentors? Read about the problems, and the solutions. What if the plaintiff loses the case? Will the plaintiff have to pay the defendant’s attorneys’ fees? Read more about the Georgia statute. Think the legal profession has gone a little nuts? Read an analysis of how the system of partnership has eroded the traditional camaraderie among lawyers. More women are lawyers than ever in U.S. history – is that good for women lawyers, or bad? Are ethics and professionalism in law suffering? Read more. Read about the heroes who earned the right for women to practice law in Georgia. President’s Column, GAWL Newsletter Is it too hard to be a mom and a lawyer? Read more. The future looked so bright for women lawyers. What went wrong? A lawyer with no cases is – well, trapped and bored. How can women lawyers solve the problem of marketing? These articles have been used in legal education seminars or in legal publications over the span of many years. The articles have not been updated or revised to reflect changes in the law. The contents should not be considered or relied upon as legal, financial or other professional advice in any way whatsoever. We hope these articles are helpful to you. Please contact us to let us know if any of these articles have been useful to you, or if you have any constructive criticism of the contents. We look forward to hearing from you!